Contemporary research in music studies has made it clear that knowledge about musical instruments is not simply about physically describing them. Accordingly, comprehensively understanding musical instruments not only involves classifying, measuring and investigating their acoustic properties, as organology has enduringly taught us, but also investigating the webs of their social and cultural meanings. Ultimately, musical instruments are ‘social and cultural beings’ and hence, intrinsically prone to letting us know about their lives (Dawe 2011: 196). Every shape and decoration embodies the values, politics and aesthetics of the communities that make use of them. This being the case, conventional music museums now face a serious challenge about the ways in which they exhibit their collections of musical instruments. The majority of music museums hold outstanding collections comprising examples that are singularly aesthetic or that are innovative from the technical point of view. Underlying these approaches to collecting, there has been an emphasis on the visual interest of the instruments together with a remarkable effort to design and establish effective classification schemes so as to admit all the instruments in the world. Accordingly, these collecting approaches have led to the displaying of instruments in such a way so as to favour visual appreciation and to follow the most widely accepted classification system, the one devised by Hornbostel and Sachs in 1914. This is made up of four main families: idiophones, aerophones, chordophones, and membranophones. More recently in 1940, a new category was added by Sachs, that of electrophones. I firmly believe that this has been a remarkable and appropriate scientific achievement – otherwise, it would never have been possible for museums to store and retrieve their collections. Nevertheless, now that the scientific knowledge of music and musical instruments has become almost comprehensive and multi-faceted and therefore far-reaching, the quest is no longer exclusively for the physical classification of instruments. This being the case, a new requirement is emerging and is driving us to rethink practices concerning the exhibition of musical instruments: the need to take exhibitive advantage of musical instruments so as to provide visitors with insightful pathways towards cultural and social memory and interpretation. Launched in 2002, the Horniman Museum’s new music gallery in London has made a great attempt, it seems to me, to provide a broadly-ranging museum experience about music. In fact, its narrative seeks not only to provide a window onto the gallery’s overarching aim, that concerning organology and the study of the musical instruments, but also to draw the visitors’ attentions to the musical instruments’ entanglement in social and cultural webs. More specifically, also it addresses, music in the home in Europe from the 17th to the mid-20th century, the uses and functions of musical instruments during the course of human life, technology involved in the manufacture of musical instruments, and the migration of musical instrument to different continents following human migrations. The musical instrument collection of the Horniman Museum in London is known to be the most comprehensive in the UK, representing music from around the globe. Taking into consideration any object created or used for the production of sound, it now includes over 7500 objects. The museum’s music gallery provides access to a set of 1000 instruments associated with traditional music, pop music, world music, orchestral music, early music and jazz. 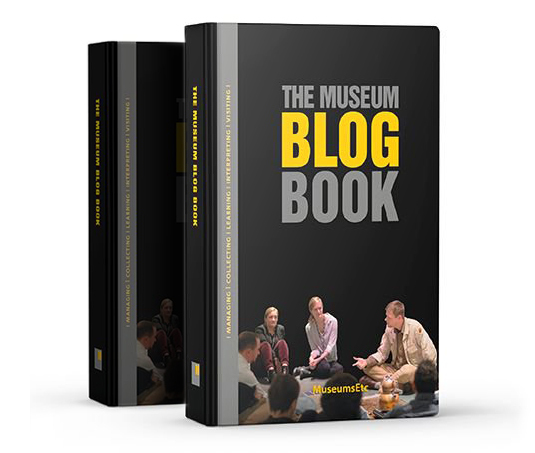 The museum’s mission today is to encourage a wider appreciation of the world, its environments, peoples and their cultures and so the breadth of this vision is reflected in its exhibitive approach. As such, the gallery not only raises as core themes issues relating to organology but it also addresses a more ethnomusicological focus, that of understanding music and its instruments in culture. The narrative encompasses four layers spanning the length of the gallery, namely: ‘The rhythm of life’, ‘The ideal sound, ‘Listening to order’, and ‘Hands on’. ‘The rhythm of life’ seeks to note music’s role in the celebration of important stages of human life, commonly called ‘rites of passage’. It also addresses instruments that are associated with specific professions and activities, the recreational, expressive and affective powers of music, and the devotive function of the instruments played in religious worship. ‘Ideal sound’, in turn, covers how musical instruments are invented, built and developed. ‘Listening order’ chronicles the main lines of development in European woodwind and brass instruments used in orchestral and military music, from the 18th to the early 20th century, and focuses on the Bayin and the more recent Hornbostel and Sachs classification systems. The latter is illustrated with the exhibition of plenty of musical instruments exemplifying the four main families. 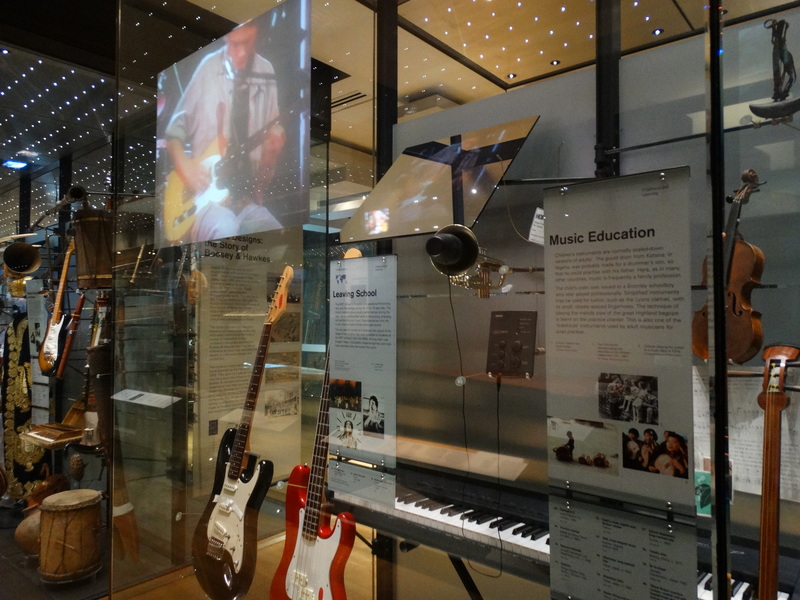 Lastly, ‘Hands on’ opens up the opportunity for visitors to play on representative examples of the instruments in the showcases, revealing the museum’s assignment to reflect recent museum studies approaches by making the visit more engaging and memorable. 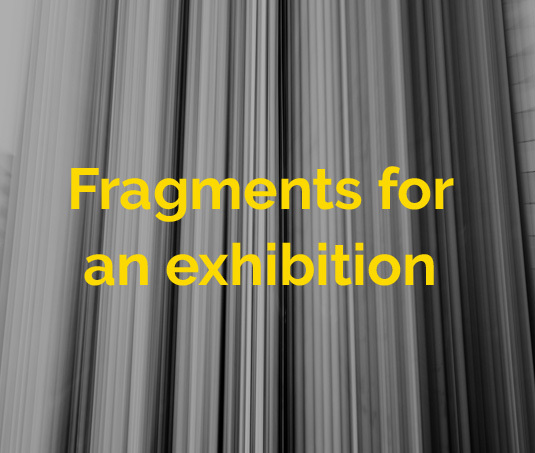 ral contexts in which the instruments are found, or by exploring the sound and additional knowledge of a selection of instruments through interactive displays. The Horniman Museum’s new music gallery in London reveals, it seems to me, how a different approach to curatorship and to museum provision for long-standing collections of musical instruments can be informed, shaped and challenged by contemporary research in museum studies and music studies. Dawe, Kevin. 2011. ‘The Cultural Study of Musical Instruments’, in The Cultural Study of Music, eds. Martin Clayton, Trevor Herbert, and Richard Middleton. New York and London: Routledge.